My NativeAdVantage: I’m still crazy enough to think I can change the world. 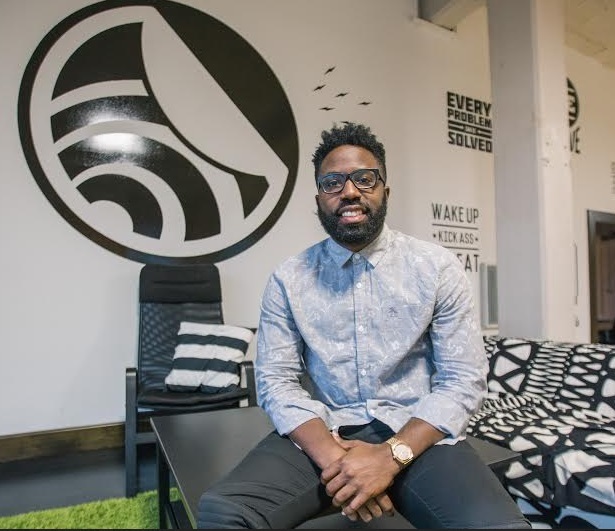 Rodney Williams, Founder & CEO of LISNR, leads one of the hottest companies in the IoT space that intends to disrupt the mobile industry with a new communication protocol that is the most efficient way to connect any device with a speaker or microphone. Fresh out of the R/GA Accelerator powered by Techstars, and a recent Upstart 100 honoree, Williams is an innovative and out-of-the-box strategic thinker who is always looking for new ways for brands to have the greatest impact on their consumers. LISNR is a new communication standard between devices that connects any device with a speaker or microphone using high frequency “data over audio”. Called “Smart Tones”, these silent audio files can broadcast from television, live events, radio, or any standard speaker and then interact with LISNR’s code base (SDK, API, Java, etc). Client and strategic partners include Intel, Samsung, RocNation, Red Bull Media House, Budweiser, R/GA, AT&T, The Dallas Cowboys and Kao Brands. Prior to LISNR, Williams spent over 4 years at Procter & Gamble leading a number of brand management, digital, and point of entry media efforts, most noted for being the first marketer to co-write digital patents. Williams was selected for AdAge and Jet Magazine's top 40 marketers under 40 in 2013. Recently, LISNR was named #12 on CNBC’s Disruptor 50. LISNR was honored at the first ever White House Demo Day, won the Visa Everywhere Initiative, won the SXSW V2V competition, were awarded a Gold Lion at Cannes Lions International Festival for Creativity, and were awarded Digiday’s Best Content Marketing Platform for 2015. In 2014, LISNR received notable recognition as a Webby Honoree, TIECON Hot Startup & the Business Courier's 2014 Marketing Innovation Award winner. Williams holds an M.B.A. from Howard University along with three additional degrees which include a Masters in Integrated Marketing Communications, a B.A. in Economics and B.B.A. in Finance. I relentlessly pursue the things I believe in. Whether it’s life or work - I’m intensely focused on chasing down my next goal. I am willing to take chances that many people are not. I’ve cut my own path - but I’m also committed to helping other people follow in my footsteps. I really believe that the only way to be the best and to stay there is to surround yourself with the smartest and most successful people you can. This might sound cliche - but I promise you this works. Being the best is never an isolated or independent effort. At work - it takes assembling incredible teams focused on the right work, at the right time. In life - having smart, talented, diverse friends will give you a leg up on your competition as well. Personal: Most of my world travel has come as a result of the work I’ve been fortunate to get to do. I’d like to spend more time visiting other countries and immersing myself in their cultures. I’d like to start and sell a few more companies and, at some point - I’d like to start a venture capital fund that invests in diverse leaders and teams like the one I’ve built. Business: I would like LISNR to be on every smartphone in the world. I could spend hours dreaming about what’s next. The future is a fascination for me - and I’m excited to be a part of technology that’s helping shape it. The French Riviera, London, Washington DC, our offices in Cincinnati, Ohio. Travel, working out, listening to music - preferably very loudly.